A quick post to bring you up to speed on SpotterGuides.com plans in the first couple of months of the new year. 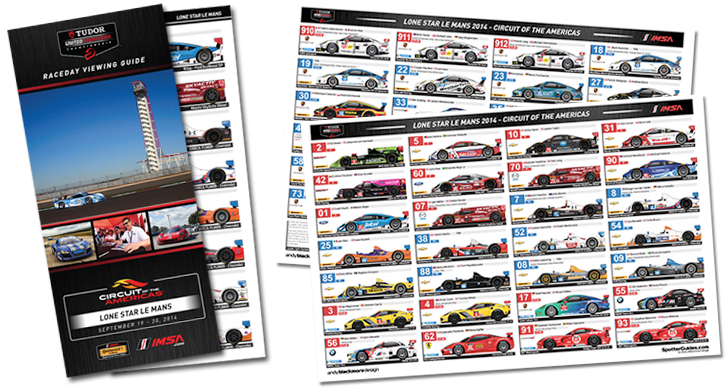 Towards the end of January, the official IMSA Spotter Guide returns. 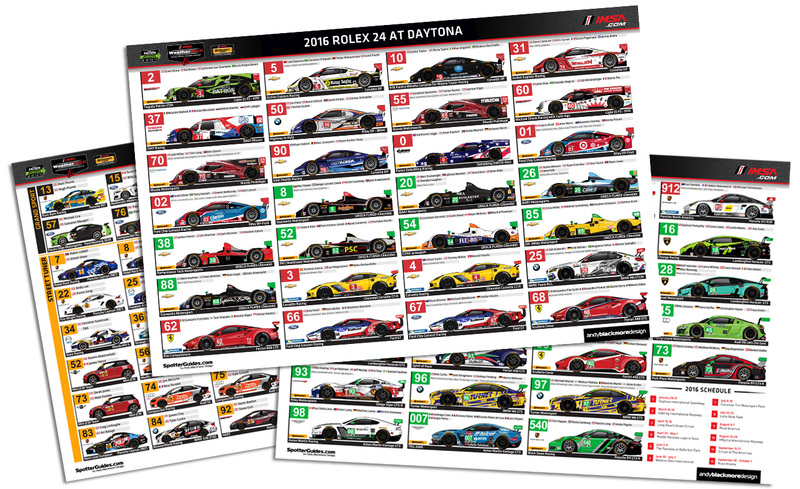 Available as an online three page guide or as part of IMSA’s raceday viewing guide, available at the circuit, it will feature all the WeatherTech SportsCar Championship and Continental Tires SportsCar Challenge entries for the Rolex24. The online guide is due to be released on 25 January and will be update during race week and will be the first look for a large number of liveries, including one team which will have a cover on their car, literally until Wednesday afternoon. 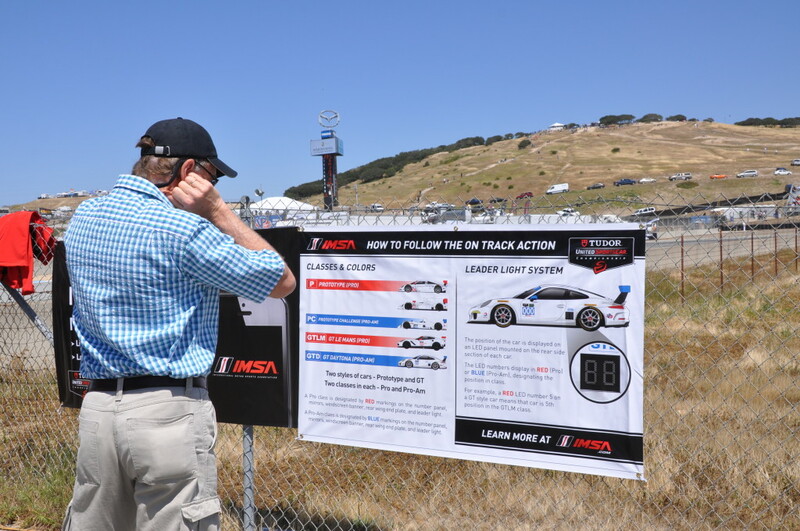 The printed guide will be available at the IMSA Fan zone inside Daytona International Speedway from Thursday of race week. 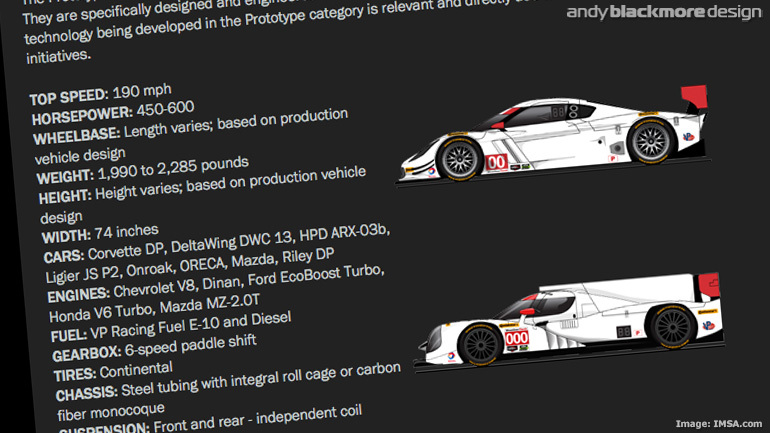 Thanks to IMSA once again for partnering with Andy Blackmore Design and almost every IMSA team for assisting. 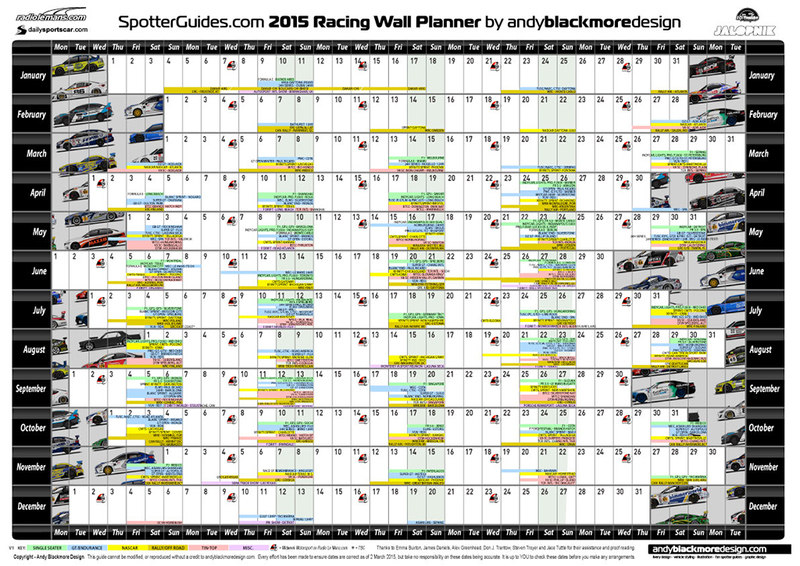 Once the guide is out the way (plenty of liveries to work through as well – see Andy Blackmore Design for more info), I will be turning my attention to the 2016 Racing Wall Planner which will be released during February. As before this will be available online, or, if you prefer a larger professional quality will also be available. Sponsorship is unconfirmed for the ELMS, WEC or Le Mans guides. 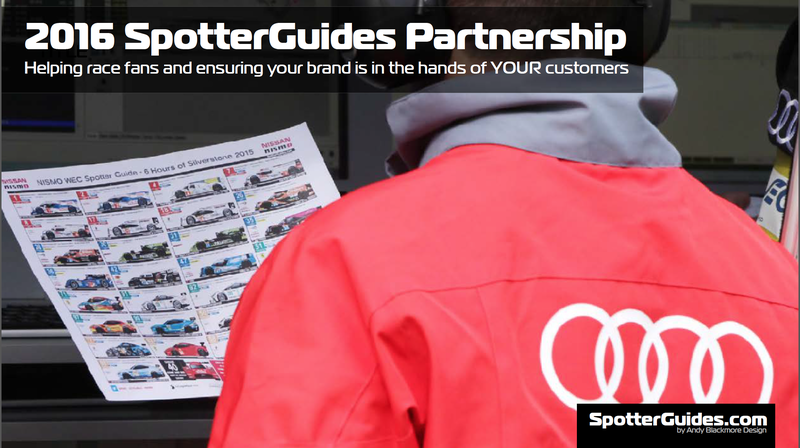 If your company is interested in getting their brands in the hands of die-hard race fans, contact me and I’ll forward you the Partnership Deck.